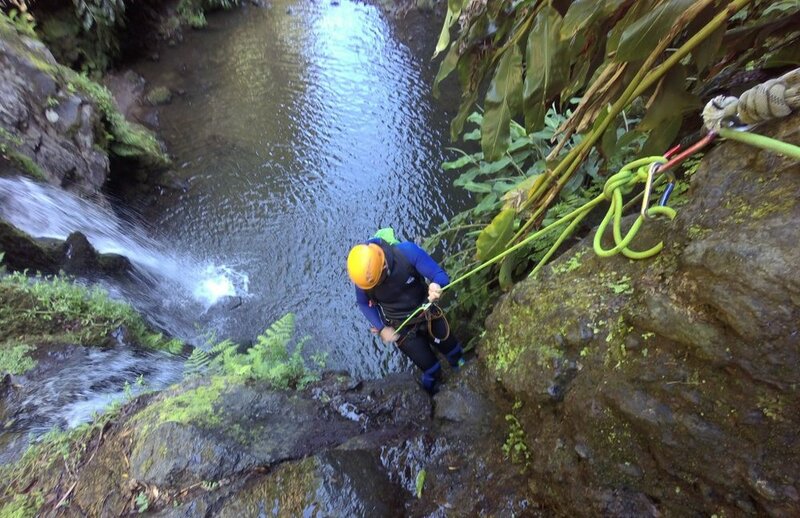 Experience Azores nature up close and extreme, with wild waterfall Canyoning. 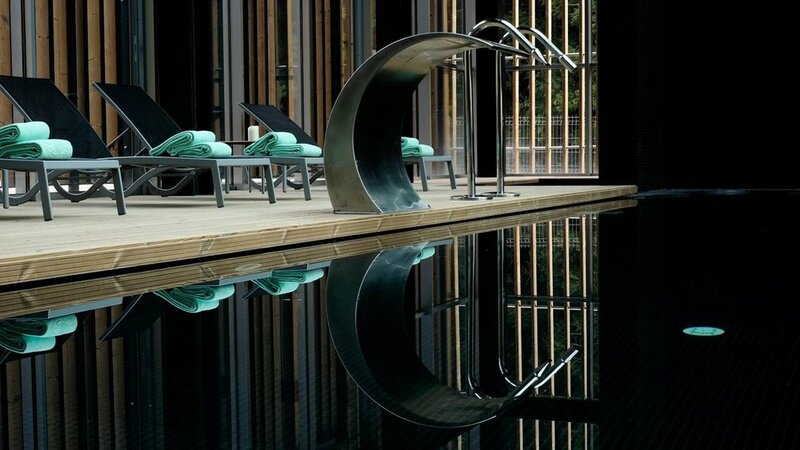 Half and full day activities available. If you’re looking for an adrenaline packed day then this is for you! 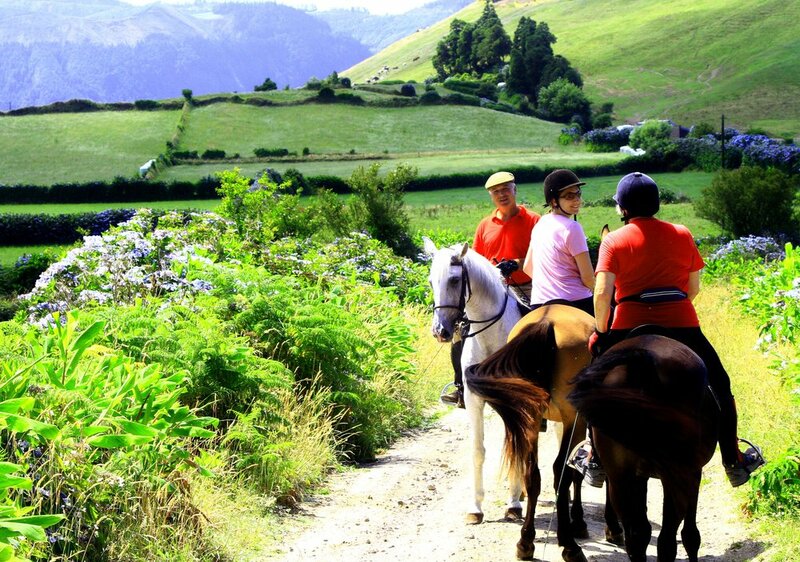 Hidden within the interior of São Miguel are waterfalls, canyons and streams that can only be actively explored through this waterborne fun packed activity. 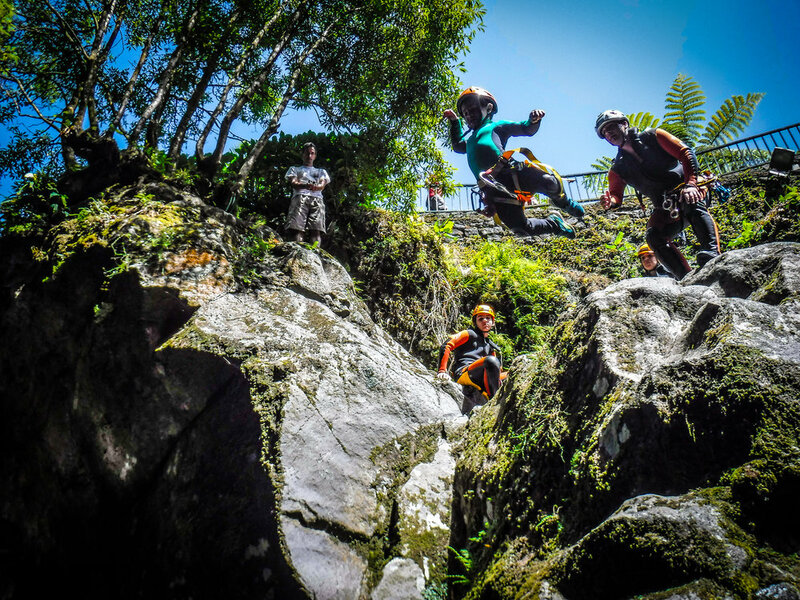 Under the watchful eye of the fully trained instructors, and dressed in all the safety gear you need, you’ll get the chance to abseil down waterfalls, slide down natural water shoots and jump from high rock drop offs into crystal clear pools. This fun packed activity is suitable for beginners with a good level of general fitness; no swimming abilities needed. Half or full day canyoning experiences are available all year round and transfers from your hotel can be included. 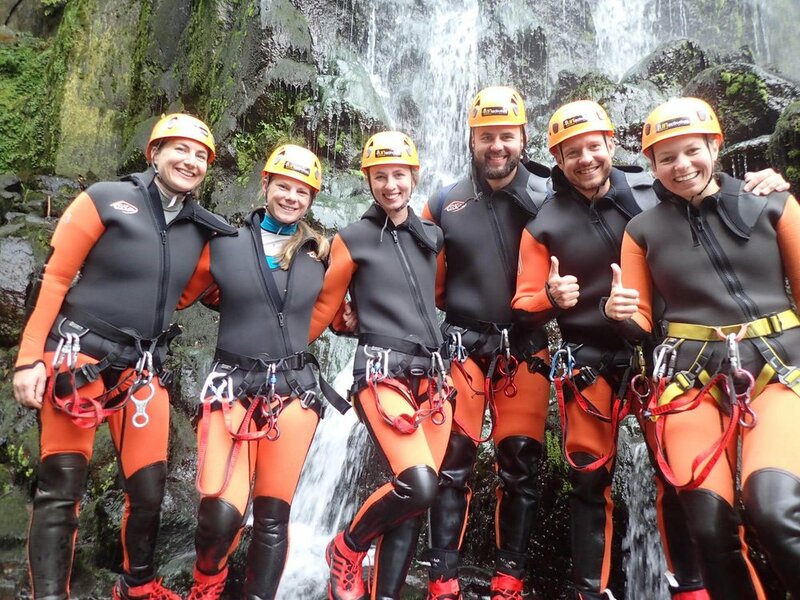 Check out what others say about Azores Canyoning.